Practical Bible Teaching: WITHIN or WITHOUT? Jesus began His ministry by proclaiming that the kingdom of heaven/God was at hand. There are still many today, who, like the Jews of Jesus’ day, are looking for a physical kingdom ruled by Jesus being present in a physical body on this physical earth in our time/space continuum. Keep looking, but your expectation is empty of any reality. I realize that the thought of Jesus “taking over” this messed up world is quite comforting to many, and I do not want to be the one who destroys that false comfort. But, since truth in its first form is always negative in that it may destroy certain cherished notions, I cannot help the seemingly negative outcome. What did Jesus mean, then, when He said “the kingdom of heaven is at hand”? “Near” can have the sense of both time and space: “near” as in tomorrow, or “near” as in down the street, and the Jews thought He meant both. However, that is not what Jesus and Paul said concerning the kingdom. In fact, Jesus very plainly stated that the kingdom would not come in a visible manifestation of royal robes on a conquering magistrate. Paul also wrote that the kingdom of God had nothing to do with outward form. "attentive watching" (akin to paratereo, "to observe"), is used in Luk 17:20, of the manner in which the kingdom of God (i.e., the operation of the spiritual kingdom in the hearts of men) does not come, "in such a manner that it can be watched with the eyes" (Grimm-Thayer), or, as AV marg., "with outward show." The modern translations, NIV, ESV, NLT, and NASB all translate “within” as “among” or “in your midst.” Each of those translations adds a footnote saying that the word “within” is an alternative rendering. He essentially says that Vine’s interpretation is incorrect. 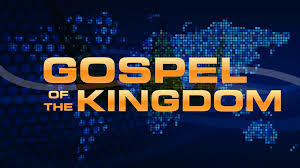 Therefore, is the kingdom of God within Pharisees and idolaters or not? We are called to proclaim the good news of the kingdom of God.